Women’s Chorus performs “Stopping By Woods On A Snowy Evening” at Meredith College for Music Performance Adjudications. “When we are preparing for a performance such as MPA’s we take extra care in studying our music. In Vocal Ensemble we work the song over and over and break the song down to perfect each note. When we arrive at the performance halls we all prepare and then go to a private rehearsal room to warm up our voices.When performing we are all on our toes watching Mr. Santangelo, our director, for ques for the tempo and dynamic changes. 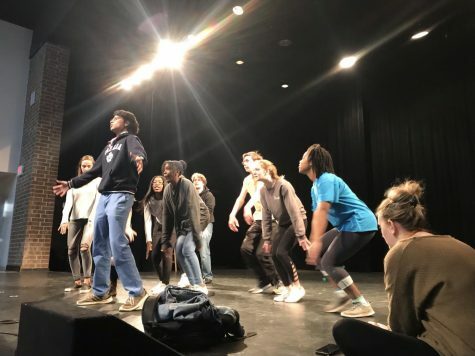 We express the emotion and story of the song with the musicality of our performance, facial expression, and body language,” said Kat Patterson, junior in Vocal Ensemble. High school choral ensembles from across North Carolina attend MPA’s in order to receive criticism and ratings from professional judges. The choirs are graded on a scale of zero to one hundred and ranked in categories Poor, Below Average, Average, Excellent, or Superior. Vocal Ensemble received a Superior ranking, while Women’s Chorus attended Music Performance Adjudications for the first time and received an Excellent ranking. According to the North Carolina Music Educators Association “Ensembles will be required to perform two selections for MPA evaluation if entering in Grade II – VI. At least one selection must be on the approved list with the 2nd selection being of comparable difficulty and contrasting style.” This was portrayed in both Vocal Ensemble and Women’s Chorus’ selections. Each arrangement had a significant level of difficulty in order to showcase each choir to the judges. Vocal Ensembles selections included “Elijah Rock” and “Sleep,” while Women’s Chorus sang “Go Where I Send Thee” and “Stopping By Woods On A Snowy Evening.” The selections fairly contrasted in style; each group had one arrangement that was predominantly gospel music, while the other arrangement was traditional choral music. 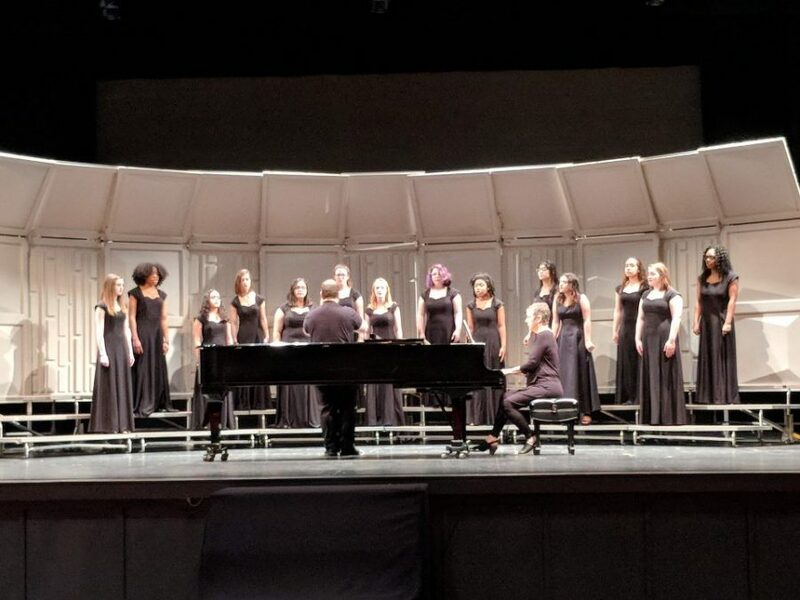 “Performances such as the MPA’s are beneficial to the choral program because it allows an outside professional to give some input into what we can improve upon. Having an outside perspective is always beneficial for every aspect of general life. The criticisms they have on the songs we perform for them, get transferred over to the songs we are performing for other events. If a judge tells us that we need to have a more dramatic swell, we will apply that to that song and it will transfer naturally to another one we may be learning,” said Patterson. Criticism from Music Adjudications are reviewed with each class as well as their overall ranking. This constructive criticism allows the chorus department to receive input from a second opinion and improve. This criticism, along with daily rehearsal, can help build towards upcoming performances such as the Spring Cafe, Spring Concert and Music in the Park. “The feedback that we get from the MPAs is extremely helpful because no matter how many times we sing it to ourselves and find nothing wrong with our voices, another person’s perspective can help to pick out all the fine details that we may miss. Becoming aware of these details can help us to single in on them, fix them, and make our performance as good as it can be. Also, the grade that we get from the judges can motivate us to push ourselves further and set goals for next time,” said Sara Sublette, freshmen in Women’s Chorus. The future of the choral department is impacted by performance opportunities such as MPA’s. Throughout the school year students in the choral department are given opportunities to perform in professional settings. MPA’s are one of these opportunities that allow Athens students to learn from choral professionals. The choral department also provides opportunities for students to perform in low pressure performance settings as well. These performances allow students to improve in both settings and grow throughout the year. 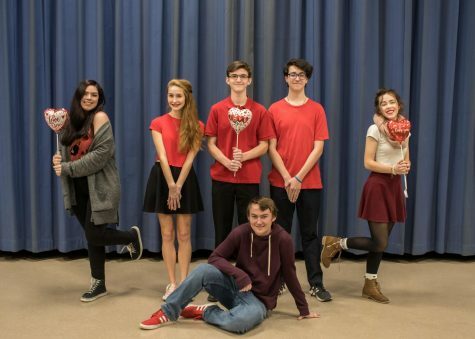 “On April 5th we have our Spring Cafe and I am performing a duet within that with Matthew Parker, senior. Having the constructive criticism of MPA’s so close to this performance is beneficial to everyone. With the suggestions they give Mr. Santangelo he can apply that to the songs we are performing for the café to make that performance even better. Later in the month we are participating in Music in the Park, this performance is a competition and in the weeks between MPA’s and Music in the Park we are going to be able to grow further as performers. This growth can lead to the most us being successful within this competition,” said Patterson. Performances such as MPA’s impact choral students and allows them to grow as performers.. The chorus department offers students the chance to improve as performers in and outside of the classroom. Women’s Chorus poses outside of the Meredith College performance hall, shortly after performing “Go Where I Send Thee” and “Stopping By Woods On A Snowy Evening”. “The benefits of MPAs are experience. Getting judged is hard sometimes, you don’t wanna be told you did horribly, but the experience of that happening helps you to get better, humble yourself, and figure out how to deal with it. 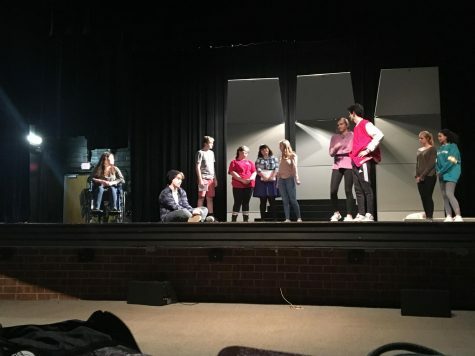 I used to have stage fright but since joining the choral department, I can now sing in front of a whole crowd without breaking down,” said Sublette.